The tensions in Europe continue to build. 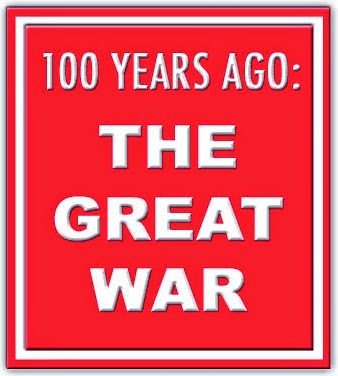 By July 14, 1914, the hope for a pacific resolution of the crisis was diminishing. 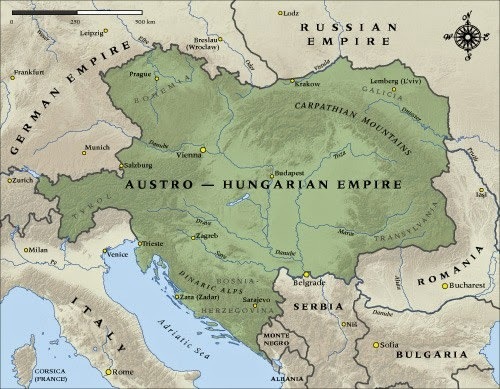 Austria-Hungary began taking a hostile tone toward its smaller neighbor, Serbia. The Austrians now believe that it has established the "political-moral proofs" that Serbia was complicit in the assassination of their Archduke, Franz Ferdinand, by a Serbian nationalist, according to London's Daily Telegraph. Officials in Vienna, Austria's capital, denounced the "unscrupulous methods" of the Serbs. "Conspiracy and assassination are considered the principal weapons of the Serv State and the Servian Press," a "highly connected" unnamed Austrian source told the newspaper. The Serbian government denied any involvement in the assassination of Archduke Franz Ferdinand. In a statement advising its ambassadors abroad, Serbian Prime Minister Nikola Pašić called the killing "an outrage" that "has been most severely condemned in all circles of society." "At a moment when Serbia is doing everything in her power to improve her relations with the neighbouring Monarchy, it is absurd to think that Serbia could have directly or indirectly been inspired acts of this kind," Pašić said in the dispatch. But in the Balkans, rumor begets rumor. On July 14, the Austro-Hungarian ambassador fled Belgrade, the Serbian capital, after hearing rumors that a mob was planning to attack his legation. He asked for police protection, but apparently that was not enough to comfort him, his family and his staff. The ambassador reached safety in Budapest, the capital of the dual monarchy of the Austro-Hungarian Empire. The rumor of imminent mob assault on the legation was grounded in another rumor, namely that ethnic Serbs in Sarajevo, where the assassination took place, were about to be attacked by pro-Austrian residents of the city. Sarajevo was within the Austro-Hungarian Empire. Whether any of these rumors proved true, The Daily Telegraph does not say. The newspaper had a correspondent in Vienna, where most of its reporting originated, but apparently it had no one stationed in either Belgrade or Sarajevo. Moreover, communication between nations was neither immediate nor wholly effective. Back then, rumors were easy to start but hard to knock down, especially with language barriers and long-standing ethnic distrust. Elsewhere in Europe, the French Senate began poring through the government's new budgets for the Army and Navy. 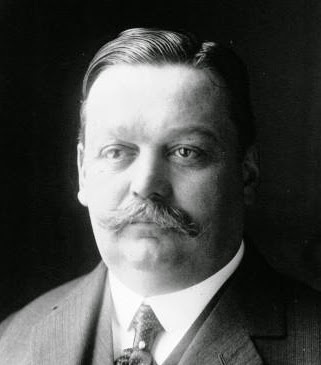 The vice president of the Army Commission, Senator Charles Humbert, created a sensation by revealing that France was not well prepared in the event of war. Humbert said that with the passage of time, French field artillery had become inferior to the Germans'. The supply of weapons and ammunition was insufficient to meet the Army's needs. The fortifications at Toul and Verdun hadn't been improved in nearly 40 years. Soldiers even lacked enough boots for a protracted campaign. The French Army was counting on taking the offensive immediately if war with the Germans broke out, but Humbert disclosed that it didn't have enough equipment to breach the Moselle and Rhine rivers for the long-planned drive toward Berlin. The Minister of War, Adolphe Messimy, had no response to Humbert's report, saying he was receiving the information for the first time. Former Premier Georges Clemenceau, whose party was now in opposition to the government, said "he had not attended such a heart-rending sitting since 1870," when the Prussians invaded, marched through Paris and annexed Alsace-Lorraine. Retaking those provinces from Germany was the prime goal of France in the event of war.